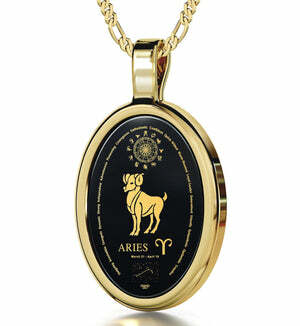 Aries Necklace Inscribed with Gold. Gift One Now at Nano Jewelry! 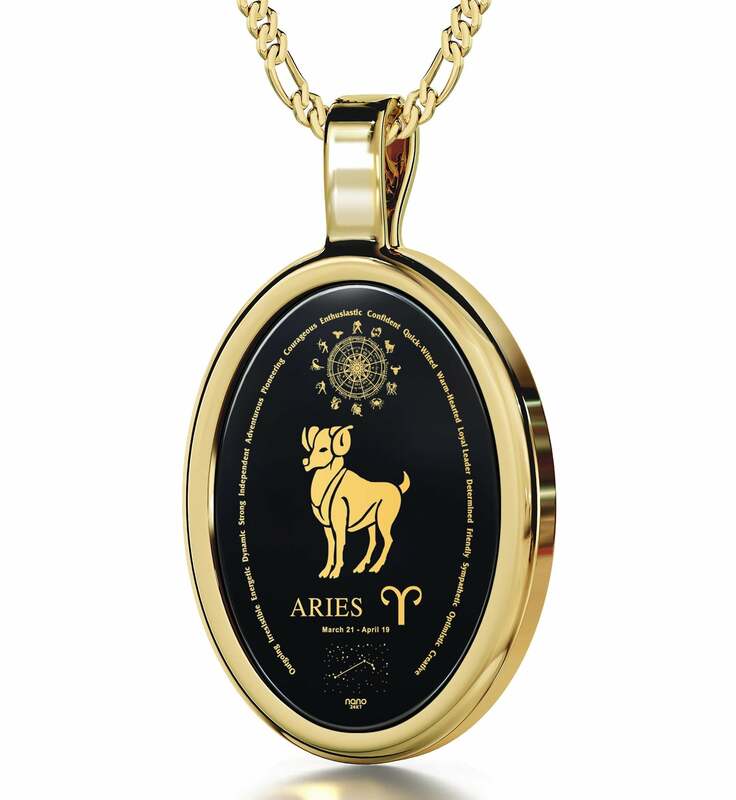 Affirm the pioneering and courageous spirit of your favorite Aries with this unique necklace! Born leaders with a thirst for knowledge and steadfast friends… We could all benefit a little from these characteristics of Aries. When push comes to shove, one of them will stand by your side, always. 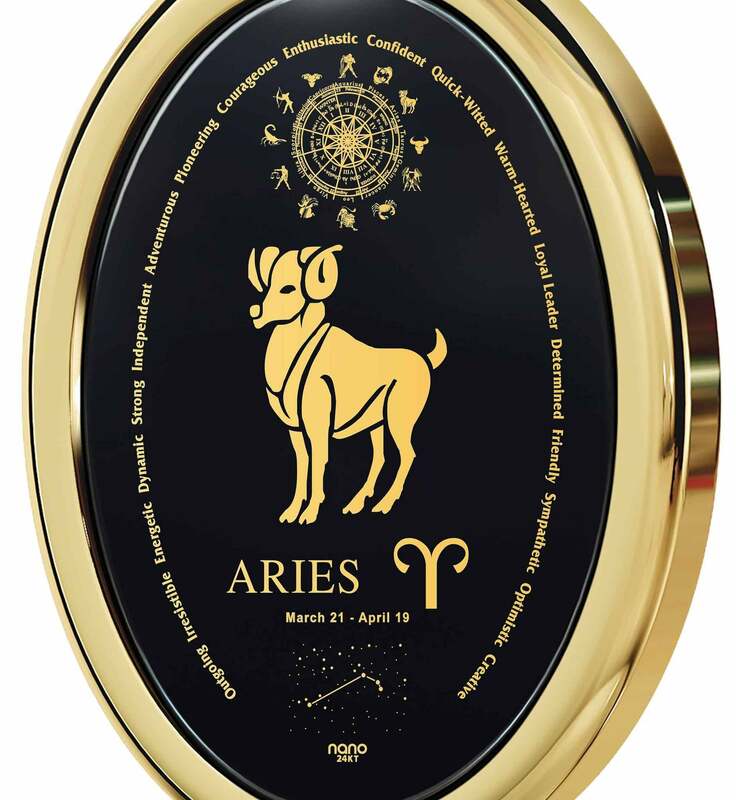 This certainly deserves recognition, and what better mens or womens birthday present to get the Aries in your life than one which is as bold and creative as they are? This is a high-quality, meaningful necklace, not some run-of-the-mill bauble you can pick up anywhere. 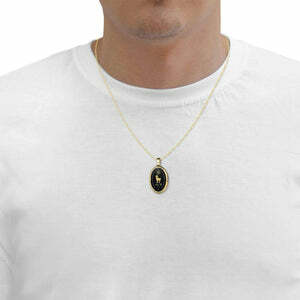 Its dazzling Italian chain and oval frame are plated with 24k gold, and the natural onyx stone at its heart is sure to cause a stir with its 24k pure gold imprint made to never fade or lose its golden sheen. 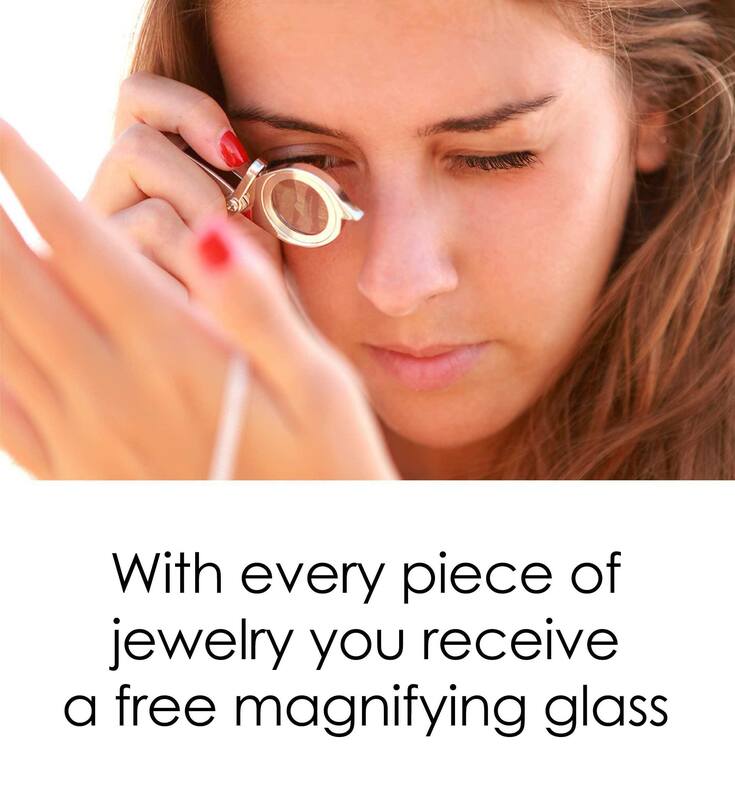 There’s no use in trying to look for something similar – you won’t find this feature anywhere else in the world. The sophisticated inscription features a depiction of Chrysomallus, the ram from whose wool the golden fleece was made, the Aries star constellation, birth dates, Greek names and the entire Zodiac. Discovering all of its secrets is made easy and fun thanks to a dainty magnifying glass. Unique birthday gifts for her or for him need to come in equally fantastic boxes, and this one is likely to excite the coolest of customers. Those born under the star sign can sometimes be headstrong or individualistic, but it is they that end up breaking the barriers of convention and lead others on to a brighter path. 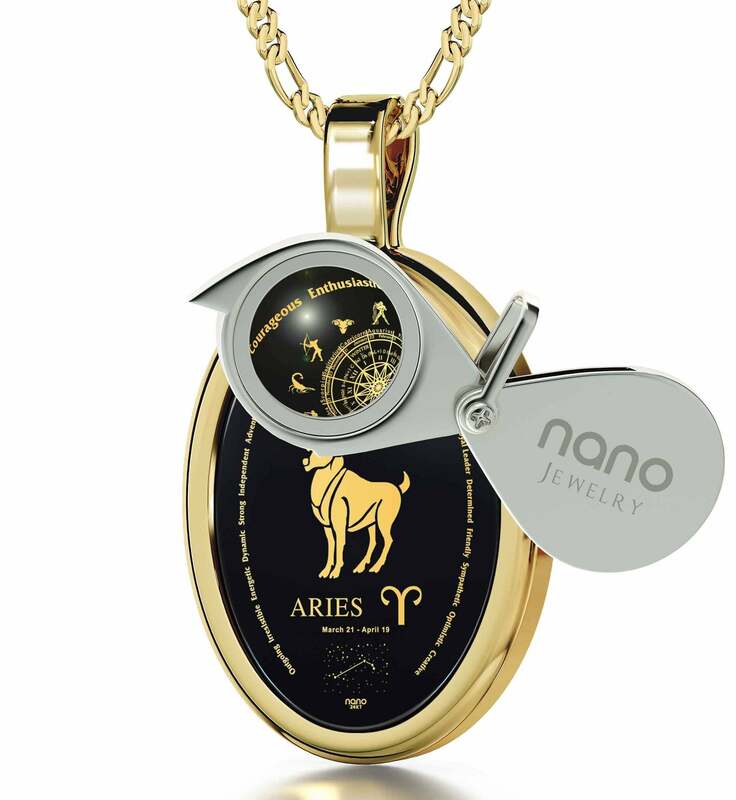 They are worthy of nothing less than an Aries necklace that doesn’t conform to expected standards, yet manages to be amazing.